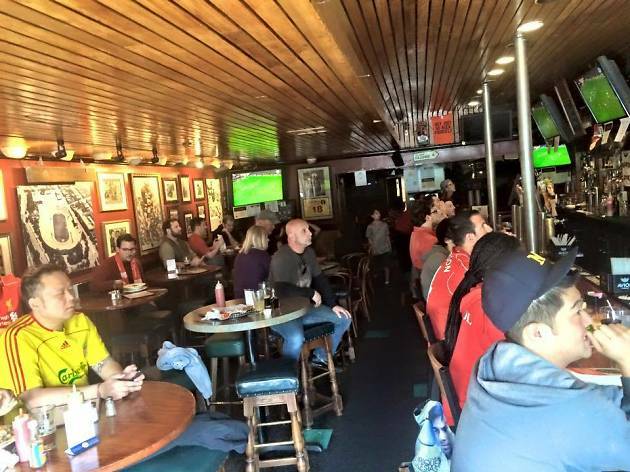 San Francisco’s most well-known sports bar is Kezar Pub. The watering hole is on Stanyon directly across the street from Kezar Stadium, the original home of the 49ers. The place is decorated in a warm reds and woods, and is almost always packed. 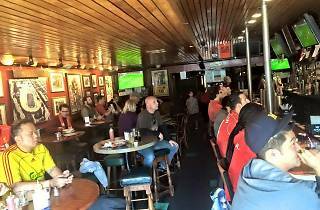 Like its sister bar, Mad Dog in the Fog, Kezar shows just about every sporting event imaginable, from European rugby to International tennis matches. There’s a large variety of rotating beers on tap and a menu filled with quintessential sports bar fare: homemade potato chips with ranch dressing, world famous spicy Buffalo wings and a chicken club sandwich loaded with Swiss, bacon, avocado and lettuce. Kezar, you're a classic.